The recommendation by the USPSTF against PSA screening was largely based on concerns about the risks of over diagnosis and over-treatment for a non-life-threatening type of disease,¹ usually with either radical prostatectomy or high dose radiation treatment. However, the task force recommendation, bolstered by substantial evidence regarding the indolent nature of low-grade disease and the favorable outcome with conservative management, has resulted in a widespread reconsideration of these therapies, and an emerging consensus that conservative management is appropriate for men with Low-Risk and some with Intermediate-Risk prostate cancer. There is ample evidence that Low-Risk and many cases of the favorable subtype of Intermediate-Risk are indolent, have little or no metastatic potential, and do not pose a threat to the patient in his lifetime. Major strides have been made in understanding who these patients are, and in encouraging the use of conservative management in such individuals. An essential component of a conservative management protocol is to identify patients who initially appear to be Low-Risk but actually harbor higher risk disease (missed by the initial random biopsy). Studies show that this occurs in about 30% of newly diagnosed men with Low-Risk (a further, much smaller proportion of patients with Low-Risk who embark on active surveillance will demonstrate biological progression to higher grade disease over time at a later date). There is now broad medical consensus that men with lower risk disease can defer treatment, in most cases for life. Men who are found to have higher risk disease that can be localized to a relatively small volume of the prostate can undergo focal therapy as an alternative to the historical approach of surgery or radiation. Studies of active surveillance, embodying conservative management with selective delayed intervention for the subset who are reclassified as higher risk over time (using repeat biopsy, imaging, or biomarker results), have shown that this approach is safe in the intermediate to long term, with a 3% cancer specific mortality at 10-15 years. As technology marches on, further refinement of the surveillance approach is ongoing, incorporating MRI, targeted biopsies, and molecular biomarkers. Genetic analyses comparing Gleason 3 and 4 patterns, the two most common histologic patterns of prostate cancer, have found that the molecular nature of each is profoundly different. The hallmarks of cancer, described by Hanahan and Weinberg, provide a framework for comparing the degree of malignancy of these subtypes of prostate cancer.³,⁴ The eight hallmarks of cancer include: • Unlimited replicative potential • Sustained angiogenesis (new blood vessel growth) • Local tissue invasion • Insensitivity to antigrowth signals • Metastasis • Replicative self-sufficiency • Deregulating cellular energetics • Evasion of immune destruction The genetic pathways responsible for these hallmarks of malignancy have been worked out with precision. The Gleason score has an uncanny and remarkable ability to segregate prostate cancer between genetically normal and abnormal cells. (It is rumored that Don Gleason, the pathologist who described the eponymous grading system, thought that Gleason pattern 3 or less should not be called cancer, but was unsuccessful in convincing his colleagues of this). There are many examples of the genetic distinction between pattern 3 and pattern 4. Abnormalities in the proliferation pathway associated genes (genes that control cell reproduction), including AkT and HER2neu, are expressed normally in Gleason 3 and abnormally in Gleason 4. Genetic pathways mediating apoptosis resistance (a signal for cells to self-destruct), angiogenesis and the development of other pro-angiogenic factors (creation of new blood vessels), metastasis and invasion processes among other genes, are similarly overexpressed in Gleason 4 and normal in Gleason 3.⁵-¹⁸ There are exceptions; in particular, both pTEN19 ²⁰ and TMPRSS2-ERG,²¹ commonly upregulated and present in most Gleason 4, have been reported to be altered in some Gleason 3 tumors. However, these isolated genetic alterations, particularly TMPRSS2-ERG, do not appear to translate into an aggressive metastatic phenotype. Prostate cancer is characterized by a wide range of metastatic potential, from indolent to very aggressive. At the favorable end of the spectrum, even spontaneous "disappearance" of cancer may be a prevalent phenomenon.²² Several large clinical series have reported a rate of metastasis for surgically confirmed Gleason 6 (where there is no possibility of occult higher grade cancer lurking in the prostate) that approaches zero.²³ A natural limitation of the conservative (no treatment) management series is that, since the diagnosis is based on needle biopsy, there is no way to exclude the possibility that the patients who progress to metastasis harbored occult higher grade cancer at the time of diagnosis. This situation plausibly is responsible for the very low but real cancer mortality reported in active surveillance studies. Table 1 summarizes the results of the thirteen prospective series showing the proportion of patients who ended up being treated and how many died of prostate cancer. Overall, about one-third of patients are treated and most study series have few or no prostate cancer deaths. The most mature series, from Toronto, has 70 patients followed for 14 years or more; in this group, 5% have died of prostate cancer. Active surveillance, with close monitoring and selective delayed intervention based on risk-reclassification over time, is clearly an appealing approach for Low-Risk patients, and an antidote to the rampant problem of over-treatment. Widespread adoption of surveillance would result in a huge reduction in the number of men treated for prostate cancer. Well-founded concerns about PSA screening leading to the over-treatment of prostate cancer can be allayed by a better understanding about how Low-Risk prostate cancer can be safely monitored. Further, ongoing improvements in diagnostic accuracy based on multi-parametric MRI and genetic biomarkers should be able to reduce the future need for systematic biopsies, improve the early identification of occult higher risk disease, and enhance the early detection of patients destined to have grade progression over time. Ross AE, Marchionni L, Vuica-Ross M, et al. Gene expression pathways of high grade localized prostate cancer. Prostate 2011;71: 1568–77. Skacel M, Ormsby AH, Pettay JD, et al. Aneusomy of chromosomes 7, 8, and 17 and amplification of HER-2/neu and epidermal growth factor receptor in Gleason score 7 prostate carcinoma: a differential fluorescent in situ hybridization study of Gleason pattern 3 and 4 using tissue microarray. Hum Pathol 2001; 32: 1392–97. Susaki E, Nakayama KI. Multiple mechanisms for p27(Kip1) translocation and degradation. Cell Cycle 2007; 6: 3015–20. True L, Coleman I, Hawley S, et al. A molecular correlate to the Gleason grading system for prostate adenocarcinoma. Proc Natl Acad Sci USA 2006; 103: 10991–96. Guo Y, Sklar GN, Borkowski A, Kyprianou N. Loss of the cyclin-dependent kinase inhibitor p27 (Kip1) protein in human prostate cancer correlates with tumor grade. Clin Cancer Res 1997; 3: 2269–74. Fleischmann A, Huland H, Mirlacher M, et al. Prognostic relevance of Bcl-2 overexpression in surgically treated prostate cancer is not caused by increased copy number or translocation of the gene. Prostate 2012; 72: 991–97. Bismar TA, Dolph M, Teng LH, Liu S, Donnelly B. ERG protein expression reflects hormonal treatment response and is associated with Gleason score and prostate cancer specific mortality. Eur J Cancer 2012; 48: 538–46. Hendriksen PJ, Dits NF, Kokame K, et al. Evolution of the androgen receptor pathway during progression of prostate cancer. Cancer Res 2006; 66: 5012–20. Furusato B, Gao CL, Ravindranath L, et al. Mapping of TMPRSS2-ERG fusions in the context of multi-focal prostate cancer. Mod Pathol 2008; 21: 67–75. Wang J, Cai Y, Ren C, Ittmann M. Expression of variant TMPRSS2/ERG fusion messenger RNAs is associated with aggressive prostate cancer. Cancer Res 2006; 66: 8347–51. West AF, O’Donnell M, Charlton RG, Neal DE, Leung HY. Correlation of vascular endothelial growth factor expression with fibroblast growth factor-8 expression and clinico-pathologic parameters in human prostate cancer. Br J Cancer 2001; 85: 576–83. Sowalsky AG1, Ye H, Bubley GJ, Balk SP. Clonal progression of prostate cancers from Gleason grade 3 to grade 4. Cancer Res. 2013 Feb 1;73(3):1050-5. doi: 10.1158/0008-5472.CAN-12-2799. Eggener S, Scardino P, Walsh P et al 20 Year Prostate Cancer Specific Mortality After Radical Prostatectomy. J Urol 185 (3),869-875 March 2011. Dall'Era MA, Konety BR, Cowan JE, Shinohara K, Stauf F, Cooperberg MR, Meng MV, Kane CJ, Perez N, Master VA, Carroll PR Active surveillance for the management of prostate cancer in a contemporary cohort. Cancer. 2008 Jun 15;112(12):2664-70. Kakehi Y, Kamoto T, Shiraishi T, Ogawa O, Suzukamo Y, Fukuhara S, Saito Y, Tobisu K, Kakizoe T, Shibata T, Fukuda H, Akakura K, Suzuki H, Shinohara N, Egawa S, Irie A, Sato T, Maeda O, Meguro N, Sumiyoshi Y, Suzuki T, Shimizu N, Arai Y, Terai A, Kato T, Habuchi T, Fujimoto H, Niwakawa M. Prospective evaluation of selection criteria for active surveillance in Japanese patients with stage T1cN0M0 prostate cancer. Jpn J Clin Oncol. 2008 Feb;38(2):122-8. Tosoian JJ, Trock BJ, Landis P, et al. : Active surveillance program for prostate cancer: An update of the Johns Hopkins experience. J Clin Oncol 2011; 29:2185–2190. Godtman RA, Holmberg E, Khatami A, Stranne J, Hugosson J. Outcome following active surveillance of men with screen-detected prostate cancer. Results from the Göteborg randomised population-based prostate cancer screening trial. Eur Urol. 2013 Jan;63(1):101-7. Laurence Klotz, MD is the past Chief of Urology at Sunnybrook Health Sciences Centre and Professor of Surgery at the University of Toronto. He is also Chairman of the World Uro-Oncology Federation and a past president of the Urological Research Society and the Canadian Urological Association. Dr. Klotz was the Founding Editor-in-Chief of both the Canadian Journal of Urology and the Canadian Urology Association Journal (CUAJ), and is now Editor Emeritus of the CUAJ. 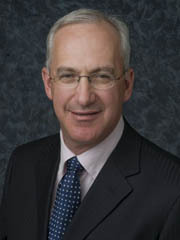 He was the founder and is chairman of the Canadian Urology Research Consortium. Dr. Klotz obtained his medical degree from the University of Toronto and completed his residency at the University of Toronto Gallie Program in Surgery. Dr. Klotz continued his postgraduate studies with a special fellowship at Memorial Sloan Kettering Cancer Centre in New York, in uro-oncology and tumour biology. Dr. Klotz is a widely published uro-oncologist with over 300 publications and 4 books. His main research interest has been prostate cancer. He serves on the boards of many medical/scientific organizations and journals, including the SUO , Prostate Cancer Canada, the journals Prostate Cancer and Prostatic Diseases, Brazilian Journal of Urology, Italian Journal of Urology, and World Journal of Urology. He was recently awarded the Queen’s Jubilee Medal for meritorious public service.